This churidar suit from Stop will surely be on the wish list of any fashion diva. 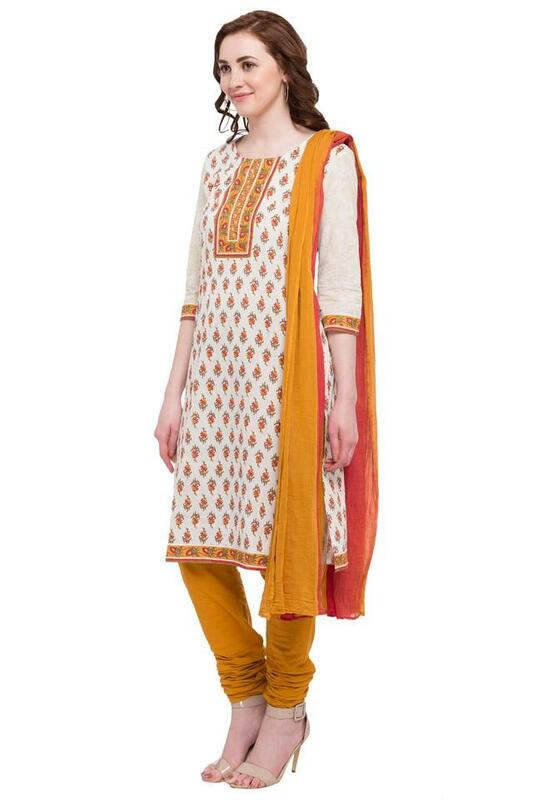 It boasts a refined finish as it has been crafted with care using a superior quality fabric. 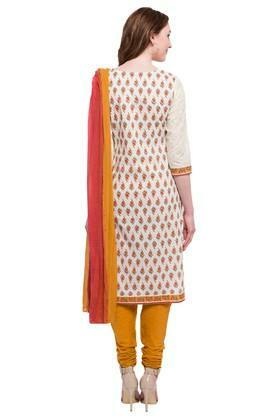 Besides, the kurta comes in a printed pattern that looks all the more appealing thanks to a nice combination of shades. 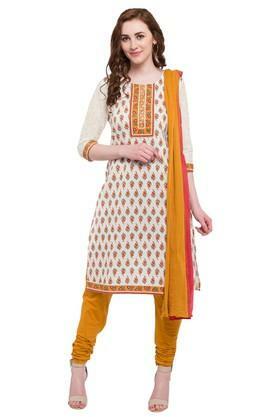 Get that standout look for any casual occasion by wearing this churidar suit with a pair of heeled sandals. The kurta comes in a printed pattern, which enhances its design.